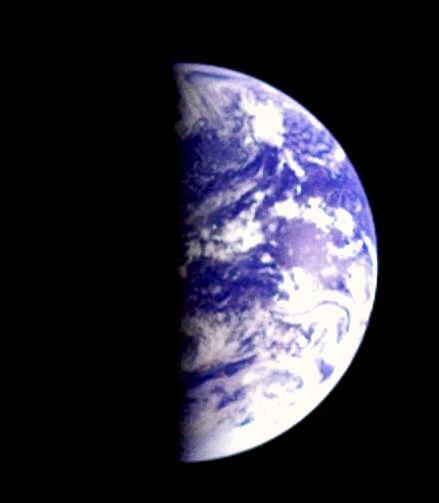 What happens if Earth stopped rotating ? So, WHAT HAPPENS IF EARTH STOPS ROTATING? 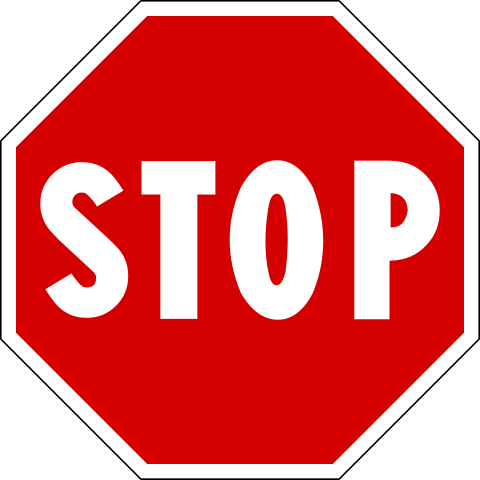 If the earth suddenly stops rotating i.e, if it comes to an instant halt as if some one were to hit sudden brakes in a fast moving bus, then due to inertia, everything on earth will still be in motion and everything and everybody (sand, trees, and your favourite things too. so deal with it) will be thrown out in to the atmosphere at a speed of about 1000 mph (1600 Kmph) except for those at the poles (at poles you could hardly feel this). But still, we wont go off in to outer space, because the amount of speed required, ESCAPE VELOCITY, for that is still too high. If this really happens we can observe one interesting thing. Till now since we are rotating along with earth we can never see or feel the earth rotating, but if it suddenly stops and since we are still in motion we can see that earth is rotating because of relative motion between us and earth (of course we'll see as if it is rotating in the opposite direction). Another by-product in this scenario will be huge earth quakes. It would be much worse than the quakes that led to the extinction of dinosaurs. But,If earth stops gradually over a period of time, then it would be an entirely different situation altogether. So, lets say it gradually stopped and everything on it is still intact. The following are a few of the many changes we can notice. Probably the first significant change would be the length of the day. Length of the year on the other hand won't change, but a single day would be as long as a year. So, the day time will be for 6 months and night time for another 6 months. Since there is a 6 month day time, it would get super super hot (the amount of hotness is still dependent on the latitude you live on. So, equator will get a lot hotter compared to places around 'Tropic of cancer') and similarly the night will be extremely cold. Moreover, for all that 6 months the hemisphere that is away from earth will be covered in pitch darkness. So, we have to think of ways to keep ourselves warm for 6 months and cold for another 6 months. The temperature change will significantly affect the wind patterns of the planet. Normally, Since earth is rotating the winds are dragged along with it and so the typical wind pattern would be parallel to the equator. But now if it stops, the only thing that affects the direction of winds is the temperature. And as we know wind blows form hot areas to cool places. So, the wind will start flowing from Equator (hottest place) to Poles (relatively cooler places). The noticeable physical changes will be in the geography of earth itself. The geography of the earth is determined by two important factors, The Centrifugal force (the outward pushing force), which is generated by the rotation of earth and secondly, The gravity, (the inward pulling force), which is because of the mass of the earth itself. This will decide the depths of oceans and in turn the sizes of continents itself. So, if the earth stopped rotating, The Centrifugal force will not be present any more and there will only be one force, the gravity. 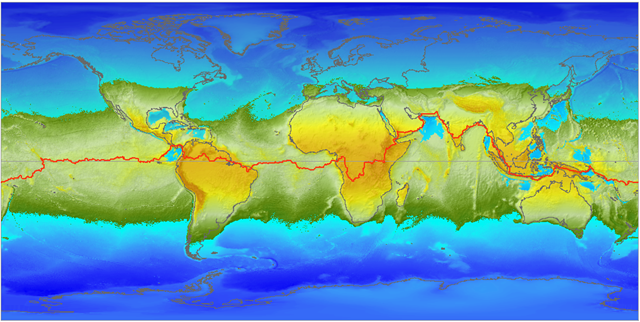 This will dictate the shape and size of oceans, land masses. Now lets go back to the scenario where the earth stopped rotating. Since, the gravity is more at the poles and gravity is the only force dictating now, all the water in the oceans starts to migrate to the poles and at the equator we will probably have a mega continent accounting for all the land that has been under the oceans all along. Along with this, all the water that is normally at the equator, migrates to the poles flooding all the land near the poles, leaving us with two giant oceans each at one pole and one giant land mass around the equator. Some even argue that the highest mountain status of Mt. Everest will be lost if such thing ever to happen but it is up for discussion. 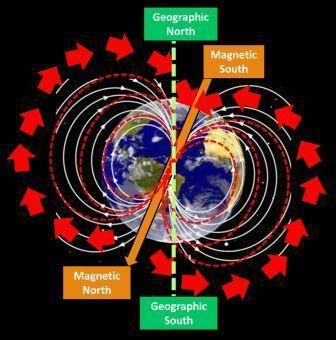 The Magnetic field of the earth is attributed to the rotation of earth. This is because of the difference between the rotations of inner and outer cores of the earth. (yea, two different rotations). So, if the rotation stops, there will no more be a field. This can harm us by exposing us to the harmful solar magnetic winds which otherwise wouldn't have been able to reach us. This is surely 'We don't want this' kind of situation. This can in turn have many other serious affects too. Our Planet, because of all the endless spinning, transformed in to a spheroid (a flattened sphere) from what used to be a sphere. So, if earth stops spinning it would again become a perfect sphere (not instantly though). Well, because of all these drastic changes, life on earth would be completely miserable. Lets say humans are so adaptive that they can quickly do something to gain over these changes, may be keeping long lasting fires in cold and some sort of cooling procedures in hot conditions, the other life forms surely will not adjust and probably we will be left alone. Even most of the plants can't tolerate these extreme conditions and we'll be left out with very less things to eat. Unless and until new plants are formed, we'll have to face a food crisis and there is no telling which life forms cope with this extreme situation. So, if this happens, everything will be against us and we most probably will not survive for long, in these conditions. Will this ever happen? Do we need to worry? This is surely not something that will happen overnight (not unless some external force acts in some way). So, there is no chance of earth stopping in the near future. But the interesting point is that we are actually slowing down and the duration of day is getting reduced by 2.3 seconds for every 1 lakh years (0.1 million). So, it would take at least 3,000,000,000 (3.0 billion) years before any significant changes happen because of this. So, its not at all a reason for us to worry about in the near future. We have many more important problems to worry about in our life-times like global warming, oil deficits etc., than worrying about somethings which we are not even sure will happen. Please let us know your opinions on this scenario. How does a solar power system work ?